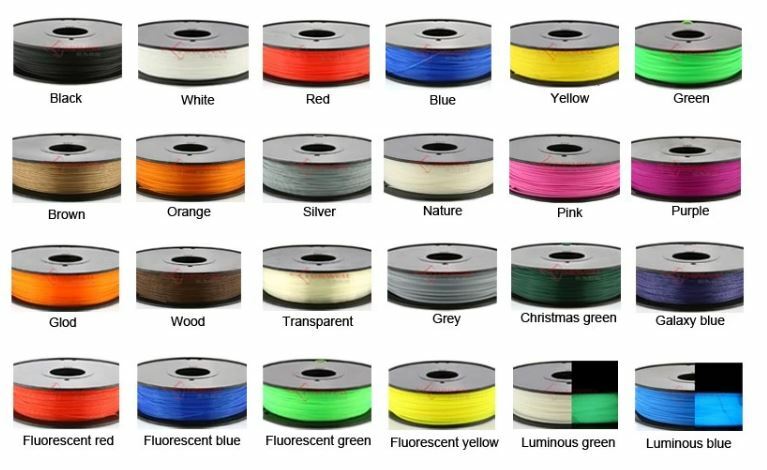 ABS filament is popular and widely used. It's one of the easiest filament for 3D printer and provides good visual quality. ABS is usually picked over PLA when higher temperature resistance and higher toughness is required. Suitable for assorted 3D printer, Makerbot, UP, Luzbot, Leapfrog, Reprap, Ultimaker, Mendel, Prusa, Raise3D and etc. ABS is often preferred due to its improved ductility over PLA. With a higher flexural strength and better elongation before breaking, 3D printed ABS can be employed for end use applications whereas PLA remains popular for rapid prototyping when form is more critical than function. our company have 6 years 3D printer filament manufacturer.